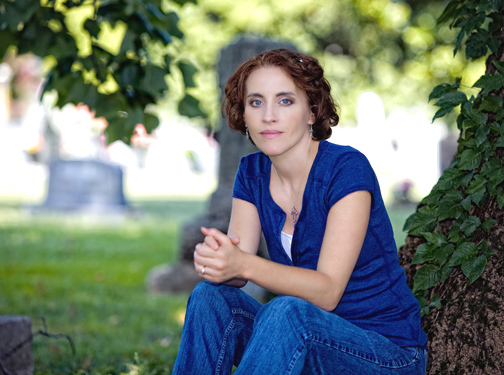 SARAH HART MARCHES IN A FEW SAINTS. 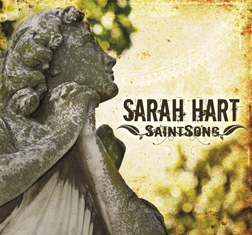 Sarah Hart took time out recently from a schedule that includes being a wife, mom and working on a new album (that’s enough by itself) to talk with ChristianMusic.com about her latest album, “SaintSong,” which was six years in the making. “It is really a collection of songs paying homage to several of the great Christian thinkers of our time,” she explains. Though some of the words may be centuries old – she uses the writings of St. Augustine and St. Catherine of Siena among others -- Sarah gives them a contemporary boost with her own sound, but also one which can be easily done in a worship setting. Sarah credits her producer, Jeff Thomas, and mixer Richard Dodd and others, for the spectacular sound of the new album. “I am actually half the vocalist in reality Jeff helps me to be in recording,” she claims. The most important contributors, though, Sarah says, are “my hubby and kids. Family always seems to be left out of the image people have of an artist, which is maddening; I know without a doubt that their contributions and sacrifices are the most meaningful of all." Sounds intriguing; I have not heard of Sara Hart. Recently, I've been listening more to our local Christian music radio station, K-LOVE and Rich, Monica and I got to see some of David Crowder, Fee, and Mercy Me play at Arco Arena last week when we were working at a Compassion booth. It was fun to see them in person.